Low prices on tires! Free and easy quotes! Swing on by to Merrimack Auto Center, LLC in Merrimack & Nashua, NH for a wide selection of durable name-brand tires! We are Merrimack & Nashua, New Hampshire's area choice for tires for less. 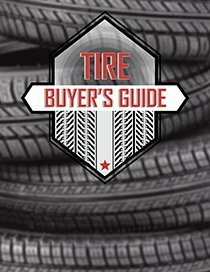 When you are shopping for tires online, see our team for answers to all of your questions in the tire buying process as well as guidance in selecting the right tires for your vehicle at an affordable price. Bridgestone, Carlisle, Continental, Cooper Tires, Dunlop, Firestone, Falken, Fusion, General, Goodyear, Hankook, Kelly Tires, Mastercraft Tires, Michelin, Uniroyal, and Yokohama. Stop by our showroom to see our wide selection of tires & tires made in the USA. Remember, if you don’t see the tires you are looking for in stock, we can still get them for you. Our commitment is to provide you with great service and the best tire selection. For expert assistance and the Merrimack, NH area's best tire selection and prices, visit Merrimack Auto Center, LLC or contact us today for a tire quote!